I want to tell you how irrational I am from time to time, especially on days when the pain and pins and needles are most intense. I actually log on to my favourite spinal cord injury bulletin board to check if a cure was announced while I was sleeping. Being that I am anywhere from seven to sixteen hours behind Europe and the west coast of North America I don't find it impossible (or don't want to find it impossible) that a cure could be announced while I'm sleeping in Osaka. Laugh if you will, but it sure would be nice, and I'm sure that there are many just like me who log on hoping to find the cure announced. Why not? 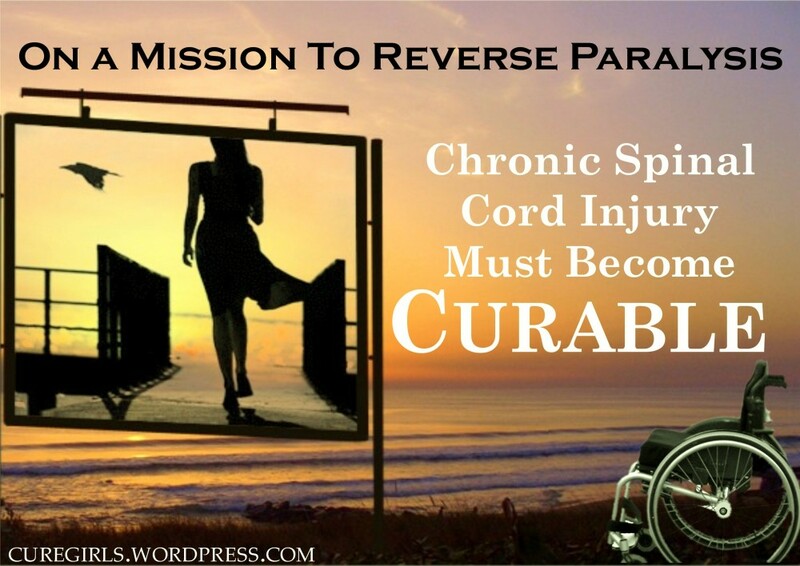 We were paralyzed instantaneously so why shouldn't there be an instantaneous cure? But after I really wake up, wipe the sleep from my eyes, and log on, I only find announcements of yet another research paper. Don't get me wrong; research papers are good, but I'll be clear, ONLY reading research papers for us non-scientists will not get us walking. 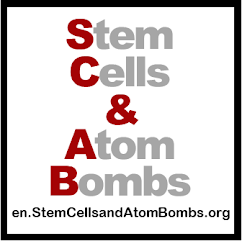 Understanding the science, if you can, is important and for those who are so inclined, understanding the science will even help the cure along, but millions of paralyzed people becoming amateur scientists is not the answer to the problem because the problem is not the science. If you read my blog regularly you'll see that I have never doubted that science will solve the riddle of regenerating a damaged spinal cord, the only worry that I've ever had is that the science will not get to us, that it will stop at making chimpanzees walk for circus shows. Money for research and trials. A lack of willingness by governments to make a cure for paralysis a priority. Regulatory agencies which put so many hoops in our way that bringing a new therapy to trials becomes almost impossible. Foundations that raise money for cure but spend it building ramps. Propaganda that almost makes it sound like we're having a good time in our chairs so there is no need to rush. I think it's these barriers that we in the paralysis community can smash down. Not sitting and waiting to be cured. Not sitting and waiting for regulatory agencies to give a green light. Not sitting and waiting while promising research languishes in the lab because of a lack of funding. A common question on the board that I visit is WHEN (and then it's debated to death). I will stick my neck out and answer NEVER if we just sit and wait and read about science. I have often been told that those in the paralysis community aren't motivated, but I don't believe this. What bigger motivation than a cure is there for us? I also believe that being active will even make people more positive in their daily lives because instead of waiting, instead of asking when, we will be making 'when' happen. I think that the problem comes down to people not knowing how to do 'cure' or feeling that they can't have any impact. So I would like to ask all of you involved in a cure to tell everyone what cure activities you are involved in. Basically, I want to hear how you 'cure'? Tell us what you do and why you do it. Motivate others to do the same and more. Let's build off your ideas. So today I will end this post by asking one question. That question is not on what you think should be done, that's important, but I want to start at a more basic point for now. Here is my question? How do you DO 'cure'?